While we all like the idea of hibernating in the winter, the beginning of Spring is just the inspiration we need to renew our commitment to fitness. But finding the right gym can be harder than it seems. 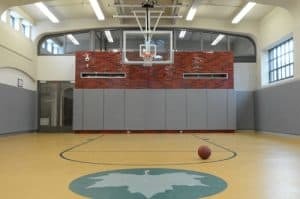 Some of the more expensive gyms have state-of-the-art facilities, programs, and benefits that make them well worth the extra dough. If you want to keep it simple, though, a basic single-location membership at your nearest gym might do the trick. So how do you choose? We’ve compiled a list of local gyms so you can compare your neighborhood options at a glance. 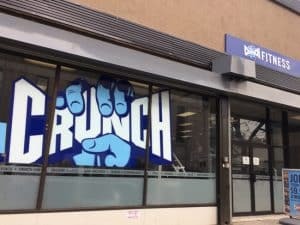 Crunch is one of the most affordable gyms in the area, even with its VIP option, which includes benefits such as Hydromassage and tanning on top of all Peak perks. Choose the Peak membership option if you want access to any location, the ability to take group fitness classes, and extras such as a T-shirt and access to online streaming workout videos. The Base option is best if you want to keep things simple and stick with the equipment at the Greenpoint location. If you’re looking for more individualized fitness attention, you can always add personal training to any membership option. With more than 100 locations around the city, mostly focused in Manhattan but extending into Brooklyn and Queens, New York Sports Club is a city staple, offering top-of-the-line equipment. If you’re looking for a more affordable option and don’t plan on working out away from Greenpoint, the Neighborhood pass might be your best bet. Or you can choose the Passport option, which gets you into all locations (except an elite few) and allows you to reserve your spot in group fitness classes a full week in advance. You can even knock $10 off the monthly price if you commit to a one-year membership. Grab a trial day pass to try it out for yourself. 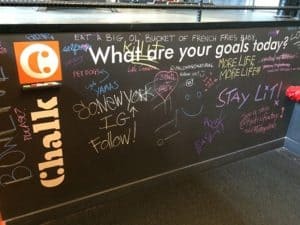 Chalk Gym has a tight-knit community feel, as evidenced by the communal chalkboards, where members can announce their goals, achievements, and even personal life events such as upcoming weddings or trips. A key part of that community feel is the music—a constant Spotify playlist of upbeat workout songs cultivated to embody Brooklyn, with no repeat songs in a week. Chalk takes pride in their laid-back, upfront attitude: they don’t have initiation or termination fees, preferring that members choose to stay instead of feeling obligated, and membership is all-inclusive. Chalk Gym offers a variety of group fitness classes each week and has a number of personal trainers ready to help you reach your fitness goals. If you’re looking for small, personalized training sessions and fitness classes, Brooklyn Athletic Club is your best bet. 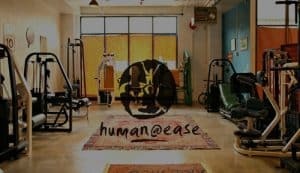 They have a stellar fitness training program—classes are kept small, trainers go through an intensive twelve-week program before they can start training, and the first-floor training facility has earned recognition from top industry experts. The space is set up so that on nice days, yoga and Spin classes are held on an outdoor deck. Plus, they just opened a new third-floor studio that houses Pilates and physical therapy classes. The all-inclusive 30-day Jumpstart Program is a great way to try out everything they have to offer and decide whether full membership is right for you. After 110 years of operation, the Greenpoint YMCA is a veritable neighborhood institution. 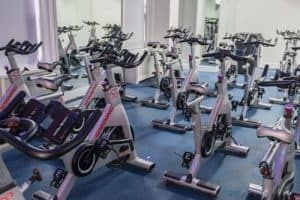 A YMCA membership offers all-inclusive access to the fitness machines, heated indoor pool, and wide assortment of group classes—everything from spin and yoga to unique-to-Greenpoint classes such as Punk Rope (a high-energy take on jump roping) and Tai Chi Sword (a class on sword form). Parents can take advantage of the Early Childhood Program, which will engage your kids in various activities after school, during the summer, or even just while you work out. Other programs include Fit Start (a 12-week program to jump-start your fitness goals), indoor sports leagues, and discounted classes and personal training. It’s easy to get a free trial day pass from the membership page. Pro tip: The YMCA often runs promotions that waive the joiner’s fee. The McCarren Play Center is part of the larger NYC Parks system, so your membership applies to a number of recreation centers throughout the five boroughs. A variety of membership options and discounts is designed to provide the best value for your money, and each offers access to team sports programs, group fitness classes, fitness equipment, and other community-based benefits such as arts and crafts classes and a computer resource center. The family-friendly Play Center offers classes for all ages—from toddlers to teens to adults—and classes vary by season. Plus, there are great outdoor spaces in the surrounding McCarren Park to run, swim, and play in warmer months. With a holistic approach to wellness and a focus on mindfulness, [email protected] is not your typical gym. It’s the perfect place to immerse yourself in yoga and mindful cardio sessions and empower yourself to become your own trainer. The various B.E.S.T. membership options include such benefits as food journaling, life and nutritional coaching, and access to the infrared sauna. If you’re not ready to become a member but you’re interested in what they have to offer, you can try a day of Introversion® Personal Training for $25 (or a 10-pack for $120) or drop in on a yoga class for just $10. There are so many different deals that you can pretty much personalize your membership or classes to fit your needs.